There is an adage that has withstood the test of time because it’s true: Exercising is essential for maintaining good health. Being of senior age does not change this fact. How much a person should exercise depends on their medical history. However, even with limitations, there are ways to lead an active lifestyle later in life. In hopes of helping your elderly loved ones, we’ve made a list of five of the best exercises for senior adults. 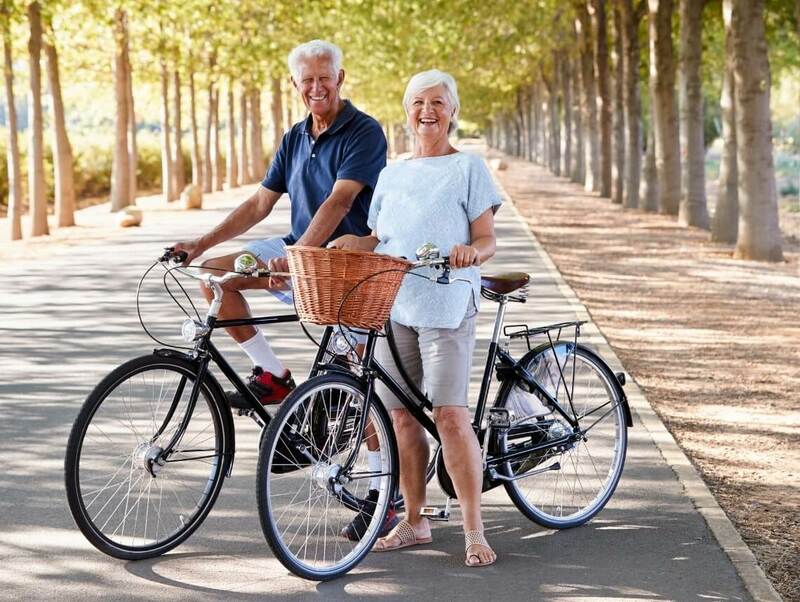 Why Exercise in Older Age? While for some people, exercising may seem like a hassle, it doesn’t have to be. The key to looking forward to workouts is finding something you enjoy. Once this is achieved, the more likely the activity to becomes a habit. This is beneficial for several reasons: Certain types of exercise assist in maintaining balance and/or increase bone density. Exercise can ease aches and pains from chronic conditions. It’ll help extend life expectancy, and reduce the risk of dementia. In fact, according to the World Health Organization, physical inactivity is one of the leading factors for noncommunicable diseases and death. So no matter how you look at it, the benefits are many. It can even be kept at a moderate intensity to make the patient confident and comfortable. That said, it’s always important to consult with a physician before starting any exercise program, and to increase frequency and intensity gradually to avoid the risk of injury. Walking is an easy choice because it’s low impact, most people can do it, and it doesn’t even feel like exercise if done in the company of someone who’ll provide good conversation. The CDC recommends walking 2 hours and 30 minutes every week. The list of benefits is extensive, including: improved circulation, joint mobility, lowered risk of heart disease, and bone strengthening. Aquatic exercises are an excellent choice of physical activity, since being immersed in water significantly reduces the amount of stress on the joints, and thus the risk of injury. It also provides strength and cardiovascular training and is a less overwhelming alternative for people with osteoporosis. The CDC recommends 2 or more days a week utilizing the major muscle groups to increase bone density. It also increases muscle strength, coordination, and balance, which are all important to prevent falls and maintain independence. Cycling is high intensity enough to improve your cardiovascular system, but also safe enough because it’s low-impact enough to safeguard your joints. It’s also the kind of exercise that will do wonders for your memory: Studies show that people who do at least 30 minutes of exercise a day on a stationary bike are better at remembering things. There are plenty of people in their sixties, seventies, and even eighties, who are still running long-distance races and performing well in them. In fact, studies have shown that this type of exercises increases life expectancy and overall health. The important thing is to consult with your doctor first to make sure that this type of exercise is right for you, and get a good pair of running shoes from a running specialty store before getting started. At Sonas Home Health Care, we understand that helping senior loved ones retain their independence as long as possible is essential. We also know that even older adults who are self-sufficient may need assistance now and then.